It's May. You get your holiday decorations down, re-enter work and school, if you ever took a break - and suddenly: May. I no longer take time to marvel at how quickly we have to move from one thing to the next, I just get my ticket, climb aboard and fight the G-Forces hurling me toward summer and all the big stuff happening at my salon. Some fun news? I was honored to be one of the featured stylists - Humans of HAIR+ - in the March issue of Modern Salon magazine (@modernsalon) - one of my industry's premier publications. These people embrace, foster and highlight innovations and trends, but they also look for ways to create community around specific hair issues. 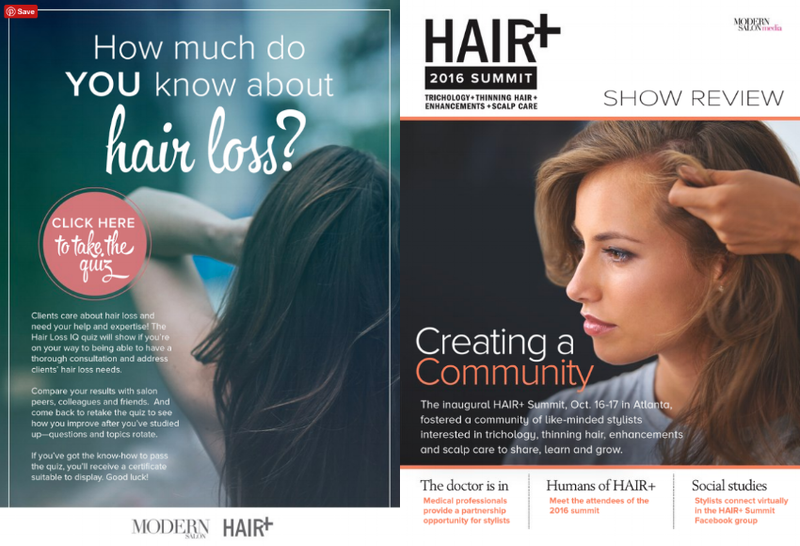 I attended the Hair+ Summit in Atlanta, sponsored by Modern, where I interviewed my peers and found my tribe. Our focus for that 4 days: thinning hair. The October conference in Atlanta was absolutely bursting with stylists and salon owners, vendors and experts who were interested in breaking down every aspect of hair loss. From discussions of self-esteem and self-care, cultural perceptions, products, treatments, the media's role, OUR ROLE as stylists....I loved sharing my experiences and hearing about the passions and pursuits of others. Here are 3 videos from that weekend that I wanna repost. All of these men are experts in the field of thinning hair products and solutions: Jeffrey Paul (@restoringhair), Paul Reynolds (@easihairpro) and Brent Hardgrave (@brenthardgrave). I attended a conference in March to learn even more about hair transplants and more of the science that is out there. We plan to become experts in this at Wink. Stay tuned, ladies!